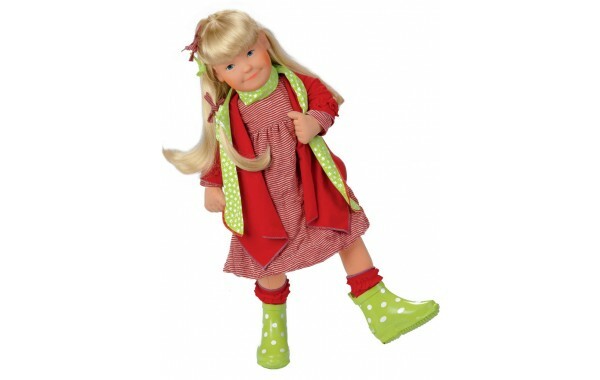 Franka is a 21.5 inch Lolle series doll who looks smart in her red striped dress, a red wrap and red leg warmers. 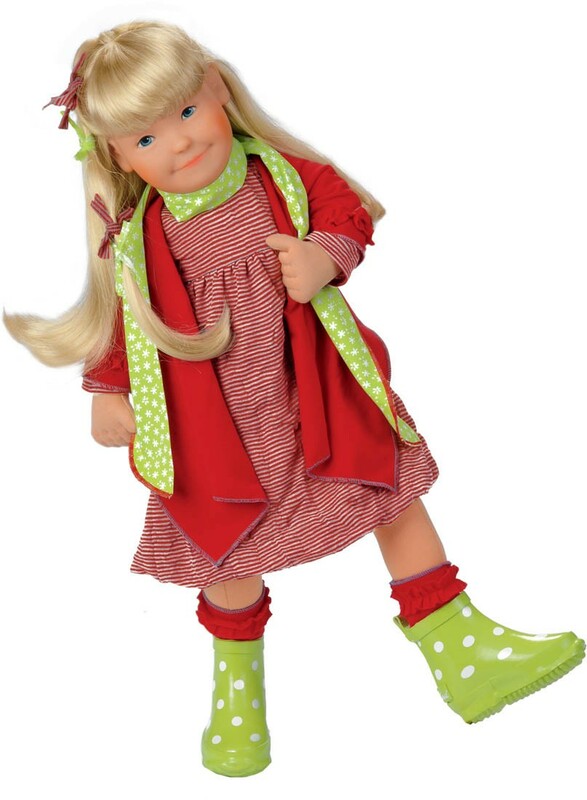 She has a green and white patterned scarf for those cool days and, of course, rubber boots for occasional puddles. 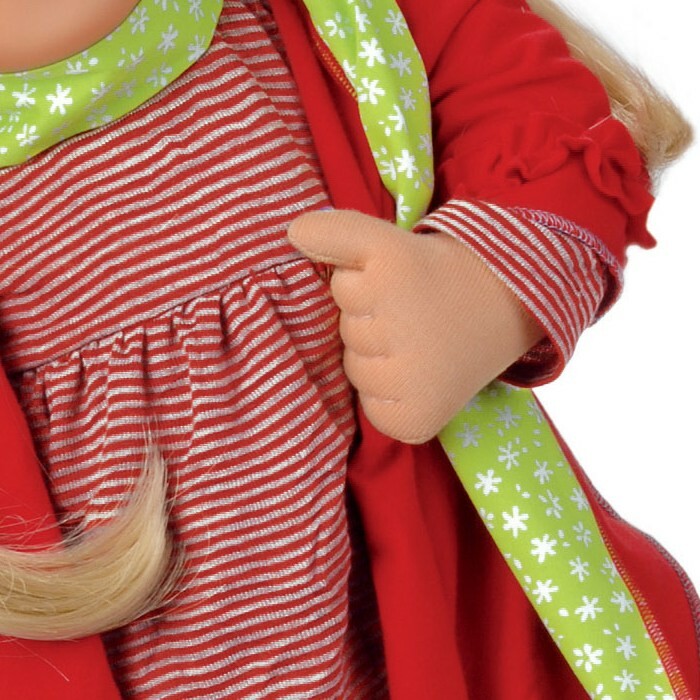 Her blond Kanekalon hair is easy to care for and fun to brush and style. 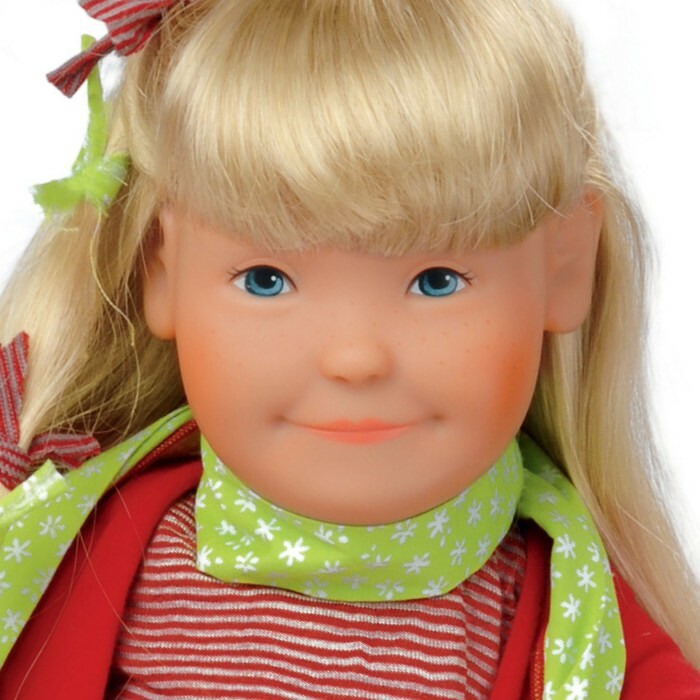 Her face has a mischievous smile which is hand painted on quality phthalate free vinyl. Franka's dangling body is stuffed with fiberfill and weighted with pellets. 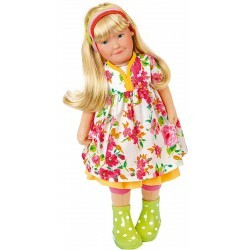 She is a real girl friend who loves to laugh and play with you! 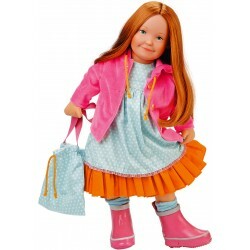 Franka invites you to creative, imaginative play. Packaged in an attractive display box.